At the start of the week Mini had a good few days, and we've now had another week of dry nights (woo hoo!) which I hope means that my chat at school reminded his teachers of the work they can do there to help reassure Mini, and they're doing it! 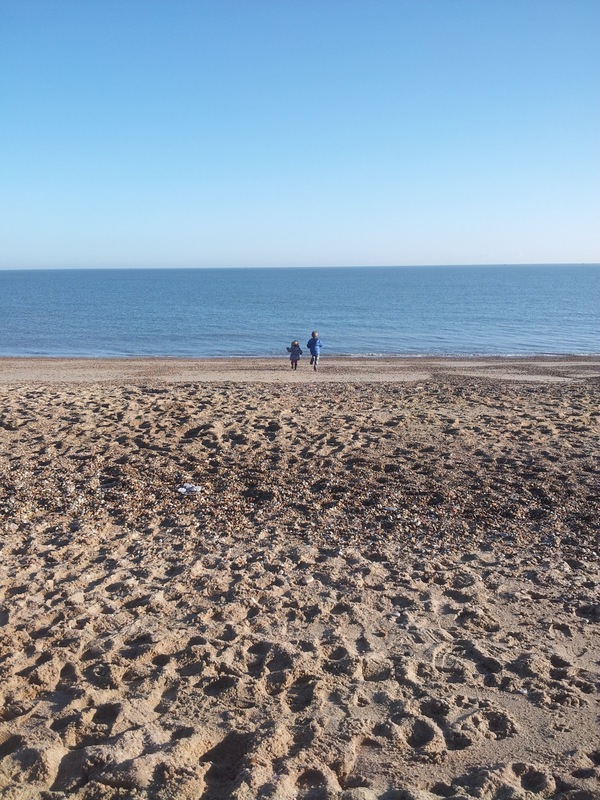 However, as a mum of a traumatised child, I can't just enjoy these calm days. Oh how I wish I could. The thing is, our family life is so full of thunder and lightning, that these quiet, un-shouty, non-aggressive days just feel like the calm before another round of storms hit. And it's impossible to relax and enjoy it because we just don't know when that next storm will arrive. I feel like I'm just as hyper vigilant as Mini sometimes, and it makes me feel sad to be so negative all the time. It makes my head hurt, and I rarely feel relaxed in Mini's company even during these good periods. And now we're about to hit a really busy period, with plans every weekend day between now and Christmas. And we're starting therapy. And there's stuff on at school. And we're going away. I'm not worried so much about the Christmas element - we've got our way of dealing with that now, it's the excitement of all our plans (seeing friends, seeing family, seeing Santa, going to stay at Nanny's and Grandad's, and 3 birthday parties) that will set Mini off - because we're so busy, there will be little time for him to process the anxieties and feelings that he'll experience. We will have to make time, and have some reflection time (if he can manage it) before bed each night. It's great being together isn't it? And doing nice things together? We're doing x, y and z today. We're all going together. Mummy and Daddy will be there all the time. It will be busy, and there might be some people you don't know. But we'll all still be there together. Then we're doing a, b and c. We'll still be together. Mummy and Daddy will still be there too. Then when we've finished, we're all coming home together, in our car, back to our house, altogether. Where we can have hot chocolate and marshmallows, like we always do....altogether. Guess where the emphasis is?! Gotta give it a try. It might even keep that next storm at bay just a little bit longer. If any of you follow me on Twitter, you might have seen some of my tweets about this weekend...well, specifically Friday evening. It was one of our worst evenings for quite some time. Something is going on with Mini, and we're not sure what yet - but I'm meeting his teacher this week to discuss. It could be changes in school routine as they practise their class assembly and school nativity, it could be yet another change in teacher (a student teacher taking lots of lessons), it could be Christmas hype (although that's never affected Mini before, and as I've blogged about previously, we have our own ways of handling the extra hype and excitement of December), we just don't know and Mini won't open up...well not verbally, but he seems down and we're back to the old bed-wetting stress-sign. But back to Friday. Friday afternoons are notoriously difficult as tiredness catches up, and of course this Friday was Children In Need so Mini wore his pyjamas to school - yet another change to his routine. Mini seemed fine, and was quite excited about going to school in his new monster PJs, but as I keep trying to explain to school - he seems fine, he seems in control, but inside he is not fine and not in control. We still don't know if what I'm about to tell you is because of Children in Need day or the other things going on at school, but we are fairly certain it's school related. After school Mini looked and sounded tired. I put a film on to calm the children and make them rest; both Mini and Dollop settled to watch it. But when the NC came home something in Mini snapped, and he became generally argumentative. He started antagonising Dollop and accusing her of all sorts. He refused to join us at the table, when he did, he wouldn't eat nicely, he kept purposely tipping his cup - threatening to spill it over his dinner and the table, he didn't want seconds, but when it was served to the NC instead, he suddenly wanted it after all, then he wouldn't stay seated for pudding, then pudding wasn't good enough and he wanted something else, then he got really hyper....running back and forth down the length of our living/dining room, almost like he *had* to. It was getting dangerous for him, and for Dollop and I could see that Mini was getting himself more and more hyped up, completely dysregulated, and it didn't seem like he was going to calm at all. To start with I moved quickly with him, but it made no difference, then I tried to bear hug him whilst talking quickly to mirror his own speech/screams/shouts/noises/whining/crying. The bear hug didn't work, only making him thrash and scream more, so whilst he did so on the sofa, I sat nearby on the floor, letting him know I wasn't going anywhere, not touching or talking to him, but keeping him safely on the sofa where I thought he wouldn't hurt himself or others. A shove to the shoulder, two strong kicks to the chest (which was already sore anyway! ), then a hard vicious slap around the face saw me burst into tears and I had to walk away. From then on I can't remember much of what happened - I have text messages and tweets which help me recall...the NC gave Mini and Dollop a bath, I left the house, but only to hide in the car. I had to get away because I was angry, really angry and hurting. I felt I had to go back so Mini wouldn't think I was abandoning him, but the second I walked in he start getting hyped up again and I wished I'd stayed away. There is a bit of a blurry time, but I know the NC took the children to bed. Settling Mini took quite some time. Then I freaked out. Sitting in my living room on my own, with my face buried in the sofa, howling, hurting and lost. The NC came back downstairs to find me in a heap, mascara and tears running down my sore red cheek, muttering things that I cannot even bear to think about again, let alone write down or share here. He tucked me up on the sofa, where I stayed all evening, unable to think or do anything much. Luckily help is already being sorted. Glenda the CAMHS therapist had visited the day before and she'd agreed to chase our PASW for help for me and speak to Dave-the-theraplay-therapist for an update. (I've had a few 'blank' moments recently, which are worrying me and I think are stress-related). The NC's art psychotherapist is ready to see him now to help him make sense of his own reactions to Mini, and hopefully it won't be long before I get someone to talk to aswell. Coincidentally, our next appointment with Dave-the-theraplay-therapist is this week anyway, so hopefully we'll either get the next step of the approach we're learning, or a date for theraplay, or something! That’s what it is. Life with a traumatised child is a guessing game. We’ve bought Mini Guess Who? for Christmas. And I was just thinking how similar life is to that game – is it a male? Do they have brown hair? Are they wearing glasses? It’s all about eliminating certain people based on their physical features until you get the right person – the one who fits all the criteria and matches the answers exactly. It translates to life quite well – guessing and eliminating the triggers that cause Mini to feel and react how he does – is it school? Did you have a different teacher? Did Mummy forget to do something today? Are you worried that Daddy’s not coming home? Of course I can’t ask Mini all those questions, they’re all in my head; a mental check list of possibilities that I run through and tick off based on observations, the odd question, a little bit of wondering out loud and the all important home-school comms book. Unlike the game though, no-one ever wins and it never ends. But the worst bit is that I quite often don’t even know if I guessed right or not. Mini gets cross with me if I get it wrong, he spits out vicious denials, calls me stupid, tells me to go away, rejects me. In Mini’s eyes I become a crap, untrustworthy mummy who can’t even work out what’s upset her son. Guess how he reacts when I’m right, when I hit the nail on the head…because then I become a scary mummy who is making a suggestion that is too real and difficult to understand or handle, and that frightens Mini. I totally understand why he might feel ambivalent towards me. It must be damn scary for Mini. He often doesn’t know, or at least understand, why he reacts certain ways. Often all I can do is acknowledge his feelings; but sometimes I can share a story of when I felt similar, showing him that I understand. I can plant a seed in his head, and he’ll –later on - think, ‘Oh yeah, that is how I felt’. If I can do this enough, and in the right way, eventually Mini will let me into his inner world, he’ll let me into that locked up box that is his mind, his memories and his fears. Maybe, just maybe some of that ambivalence will go, and I’ll just become safe old mum. Until then, I’ll carry on guessing and getting it wrong much of the time. But every now and then I’ll get it right, and Mini will realise that he can trust me, he can let me in and I can help him understand. That day will come right? As you might have read about already, this week our family celebrated our 4th adoption day; the day we went to court and a judge ruled Mini one of us. He officially became our son, and we became his parents – no more shared responsibility with Social Services. Mini: I want the new play dough NOW. Stix: Not right now, as we’ll need to eat breakfast at the table in a minute, and then we’re going to get ready quickly so we can go to the seaside. Mini: But I want the play dough NOOOOOOOOOOOOOOOOOOOOOOWWWWWWWWWWWW. Raaaaaaaaaaah. Stix: OK, we’ll have breakfast now, but after that, you can choose if you want the play dough, or the trip to the seaside. Mini: I want the seaside. Stix: Great, well we’ll eat, get ready and go, then you can have play dough another day. Now I’ll admit that the play dough is pretty special – homemade peppermint scented glittery play dough, but we all knew that Mini wanted the seaside trip more. And after washing up the play dough cutters and rolling pins at least 4 times in the last 24 hours as Mini chopped and changed his mind about playing with it, I wasn’t keen to repeat the same washing up pattern as yesterday. Breakfast went OK and we greedily scoffed a stack of pancakes. Mini got hyper between breakfast and leaving and as the NC wasn’t in his most therapeutic mood, I took a few minutes to empathise with Mini about how excited he must be feeling and acknowledge that we know he gets worried when we’re out because he thinks he’s not coming home with us. However, we were all going to be coming home together, and it was just going to be us – no surprise friends there. 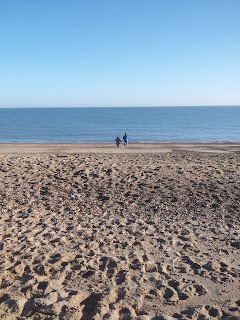 The trip to the seaside went well, with Mini – for the most part – behaving well, and doing what he was asked. Stix: Put your shoes and socks back on now please Mini, we’ll be home in a minute. Stix: You’ll need them on so you can walk in. Please put them on. Mini: No, I don’t know where they are. Stix: Well have a look at where you threw them when you got in the car – they’ll be there. Mini: Now I want the play dough. NOW. AND YOU’RE GOING TO GET IT FOR ME NOW. Stix: Mini remember, you chose between play dough and the seaside this morning. And your choice was the seaside. We’ve done that now, and we’re going to put a film on and have some quiet time before dinner. Mini: But you didn’t let me choose this morning, I want the play dough nooooooooooooooooooow. Waaaaaaaaaaaahhh. I WANT THE PLAYDOUGH NOW! Stix: You made your choice earlier Mini, we’ll have play dough another day. Stix: Daddy would you mind heating up that cuddly thing I bought earlier? Mini: What? What cuddly thing? Stix: Oh, just something you can cuddle whilst we watch the film. It’s new, and it’s warm and smells nice. Mini: Yay – I get a new cuddly. *Waits for microwaveable, lavender cuddly monkey on sofa like the best behaved child in the world*. He’s still watching the film, so I have no idea how the day will end, but this ‘make a decision, do what has been decided, then change mind after’ behaviour is something that we battle with almost daily. One of the most traumatic occasions was when Mini wanted a snack after school, and he remembered that he’d not eaten his Penguin at lunchtime, so he took it out of his lunch bag, thought about it, and then threw it in the bin. Within seconds, he was in a heap on the floor, screaming his lungs out because he did want the biscuit after all. I did time-in, I did hugs, I did empathy, I offered alternatives, but nothing was right, and he got violent towards me and Dollop. In the end we just had to ride it out until he finished screaming, swearing and sobbing. The NC and I are finding this increasingly difficult to deal with as the fallout becomes greater and seems more irrational and over-the-top. We try our best to support Mini in decisions. But even those he makes without us – what toy to play with, which book to look at, whether to watch Cbeebies or Disney Junior are becoming harder and harder for him to manage.We've removed choices, we've limited them...nothing works. It’s funny. His grandad has always called him contrary, and now more than ever that seems to be exactly what he is. Join British Association Adoption & Fostering’s chief executive David Holmes on Wednesday, November 7 between 7-8pm for a Twitter Q&A session about adoption. Tag tweets with #NAW2012 to join the chat. Tomorrow is the start of National Adoption Week - not only that, it's the 15th anniversary of this great event. 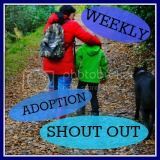 Run by the British Association of Adoption and Fostering (BAAF), National Adoption Week seeks to raise awareness of adoption and recruit prospective adopters. Regular readers of The Boy's Behaviour will know that it's not all roses round the door here at chez Stix. Adopting Mini was easy, parenting a traumatised young boy has been the hardest thing I've ever done. Mini's past has impacted on his present (and the future) much more than I was ever prepared for. However, despite the challenges, it is one of the best things I've ever done, and if our situation had been different, I would do it again in a heartbeat.. I look at Mini and I can't believe he's mine; this gorgeous, clever, funny little person. Just like when I fell in love with the NC, I get butterflies looking at my children, and am so grateful to be their mum. It's hard work, but it's my hard work and I can't imagine my life without Mini.